Prom is near and there is too much to fear! How to ask your crush on a date? That’s the big question. As we all know prom is the best opportunity to ask a girl out. Time to man up and ask your dream girl out on a date. 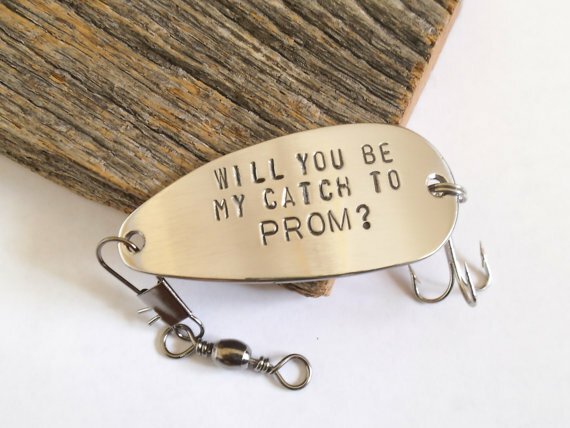 There are many ways to ask a girl to prom. But they are either too common or not that cool. Awesome ideas, to ask for a prom date are rare and quite hard to find. But we’ve got the solution just a click away. Trust me, it does not mean you have to shove a note in a bottle and throw it in the sea wait for her to find. That’s not the case. 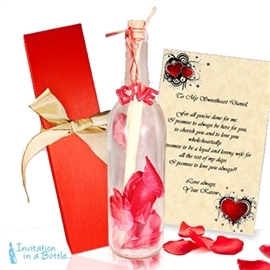 You can send her a note in a beautifully decorated glass bottle via mail with our help. And there are many to choose from. Here are five most romantic bottles you can choose from. Eternity Message in A Bottle: You obviously know her better than anyone else. So you would know her choice. Her likes and dislikes. If she is a fan of fairy tales. If she loves happily ever after. This is the perfect bottle for you. This bottle makes you her prince charming. She won’t be able to say no to you. Hearts of Roses Romantic Message in A Bottle: No other bottle will speak to the heart like this one. This bottle may also be the cutest bottle of them all. You should write an equally cute message to go with it. With the rose petals and sparkling love tag, you will surely hit the jackpot. Creative Love Personalized Bottle: This bottle is a tad bit different. It’s creative in a way and romantic in another. This bottle has got sand and shells. A starfish around the neck. 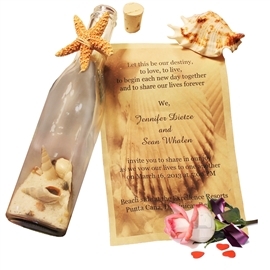 With your message rolled inside this bottle will get as dreamy as they get. One cannot help but love it. Valentine’s Day Message in A Bottle: Just because the name says valentine does not necessarily mean you cannot use it for other occasions. It even comes with two different styles! Check out and order now. 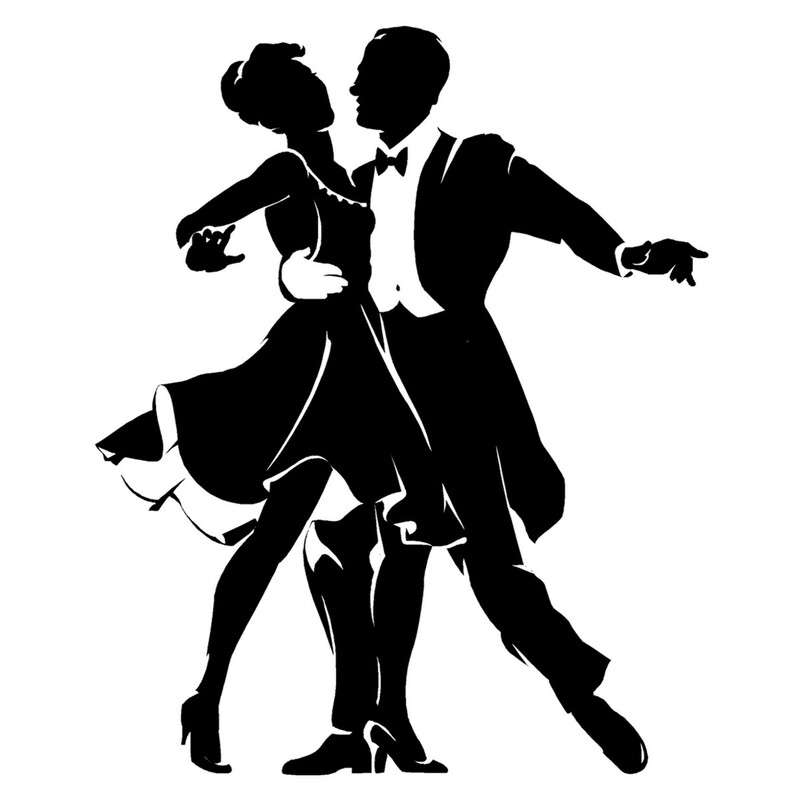 Make your prom memorable. Sweetest Day Message in A Bottle: As we can see with this bottle, looks can be deceiving. This is just a simple glass bottle. But add a few magic tricks of our own and voila! You get the perfect bottle. Tell us what you want to add in the bottle as a way of showing love and we will do it. Prom night cannot be enjoyed fully if you don’t have your desired date with you. So order now. After all these things said and done, time for you to choose. If you think these are not the perfect bottle for you, feel free to visit us. Where we can show you an array of different types of bottles with many themes. You won’t be disappointed. And most importantly your date will be baffled to see you went all the way to ask her out. How can she say no to you if you ask her out with one of our bottles? What do you think? Can she resist you after that? Don’t fret over it. Order now and go to prom with your dream girl. Enjoy!